We work on requirement of Customer for their EPS OR thermocol requirement.Meeting Size, density specification, Safety etc. We offer quality product with competitive pricing . 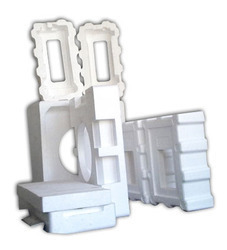 We are among the pioneers in the industry, offering Moulding Expanded Polystyrene to our valuable customers. Our services are customized and are aimed at fulfilling the exact requirements of the customers. Sophisticated technology and optimum quality materials are utilized in the process. Our molding machine carries out the process in an efficient manner, enabling us to fulfill bulk requirements of the customers. We are among the leading names in the industry, offering /Foam Molding Thermocol Packaging Parts to our esteemed customers. These parts are extensively used for packaging purposes and we make them available in several specifications, suiting the needs of the customers. The offered parts are characterized by light weight, high shock absorption capacity, and rigid construction. We offer thermocole parts at standard market prices. We are among the leading names in the industry, offering Thermocol Molding to our revered customers. are among the leading names in the industry, offering Thermocol Molding Services to our revered customers or It can be process just like injection molding machining where molds are made and material feed in which is cured by steam and cooled by water to stabilize to temperature where we can take out in desire form from the tool. 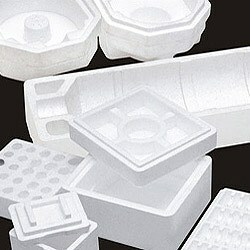 Parts can be used for number of application packaging , storage , insulation , craft etc. We can supply this molded parts as well sheet customized to desire application. 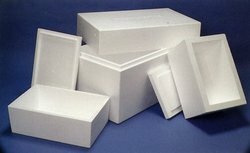 Looking for Thermocol Packaging Parts ?